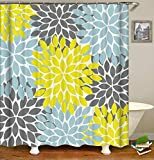 Whether you want to create a cute whale theme bathroom for your child or want fun items for your own, this category can help. 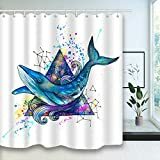 Below is our list of popular whale bathroom décor and products that will suit your whale-loving needs. Browse through our options and find the best whale items for your home! 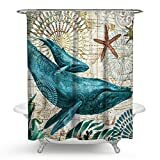 Creating a whale themed bathroom or adding some whale bathroom accessories is very easy, no matter what your budget it. For a tasteful and subtle hint for your love of whales, we suggest the Org Store Cotton Fabric Collapsible Laundry basket. This basket is perfect for any restroom including dorms or small apartments. 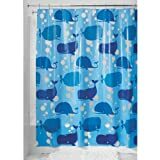 Another great way to add whales to your bathroom is with a shower curtain. 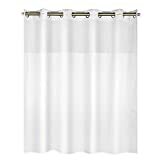 Here we have two options- one with small whales all over the curtain or large 3 images whale curtain. 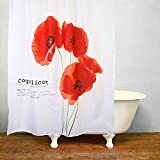 They are both affordable options that are cute and stylish. You can also add Wilson the Whale toothbrush holder to your sink. 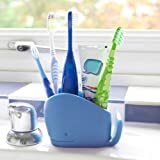 This small whale shaped cup will hold your toothbrushes, toothpaste and other teeth cleaning accessories. Take a look at our great options now and find the best whale products for your home.